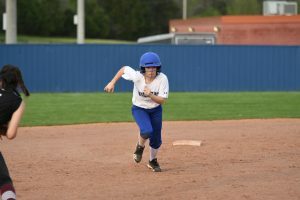 GLADEVILLE–Wilson Central hosted Station Camp on April 11 in a big District 9AAA game that could determine higher seeding for the upcoming tournament. 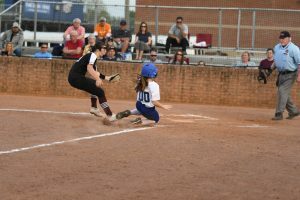 Station Camp took little time in taking the early lead as the Lady Bison’s leadoff hitter took the 2nd pitch of the game and sent it over the left center field field to make the score 1-0. 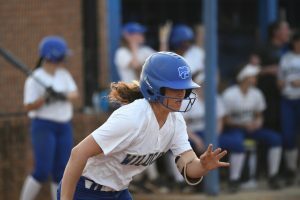 Before the Lady Wildcats to tame the Bison, they scored 2 more runs in the inning to make the score 3-0 before Wilson Central would be able to bat. In the bottom half of the inning, Station Camps pitcher held the batters of Wilson Central going 3 batters up and 3 down. In the top of the second, Station Camp once again hit the long ball this time over the right center fence and before the dust could even settle the score was 5-0 Bison. Unfortunately for the Lady Bison that’s all they could generate as Senior Pitcher/shortstop Kaylee Richetto shut down Station Camp the rest of the way. Richetto threw the entire game allowing only 8 hits and striking out 3. If an observer was asked who contributed more than Richetto one might say Grace Guethlein, the senior catcher. With one out in the 3rd, Guethlein crushed a line drive back towards the pitcher ending up in centerfield advancing Shelby Moore to third. Alaina Morris added to the teams run totals as she reached on an error scoring Moore for the first run of the game. 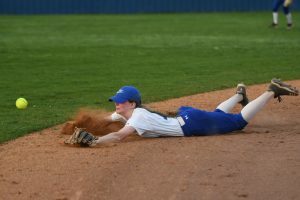 It was not until the bottom of the 4th when Guethlein led again which ignited the Lady Wildcats comeback. 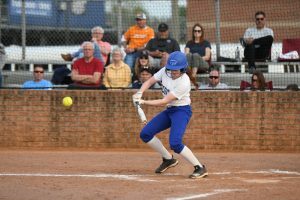 The big hits of the inning came from Alaina Morris and Kenzie Meador as Morris hit a line drive RBI single to left advancing Alli Johnson to third. With one out, Meador drove a pitch to deep right field scoring Johnson and making the score 5-3 Bison. 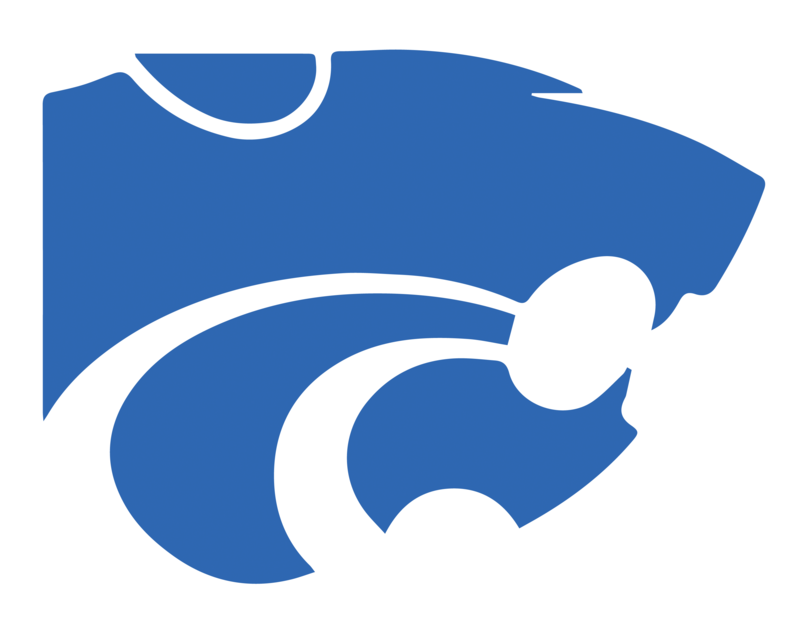 Here comes the Lady Wildcats…Kaylee Richetto doubles to left field scoring Meador to tie the game at 5 followed by a sacrifice bunt by Taleor Chang. With 2 outs on the board, score tied at 5 and Kaylee Richetto standing at third, Makayla Marshall singled to center field scoring the go ahead run with Richetto crossing the plate. 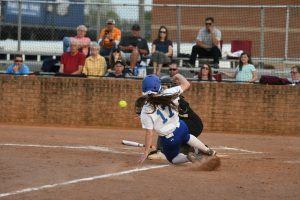 Wilson Central clamped down defensively against the Lady Bison in the 5th and 6th innings while clinging to the one point lead. That changed in the bottom of the 6th as Kaylee Richetto who had limited Station Camp to only 8 hits took one downtown over the left center field fence to make the score 7-5. 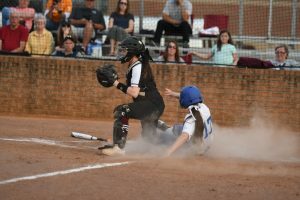 Station Camp had one last gasp of life in the top of the 7th. With the bases loaded and 2 outs Richetto forced a ground out force out as shortstop Gracie Hill vacuumed the softball from the dirt and threw to Taleor Chang at third for the force out ending the game. Kaylee Richetto went seven innings, allowing five runs on eight hits, striking out three and walking one. 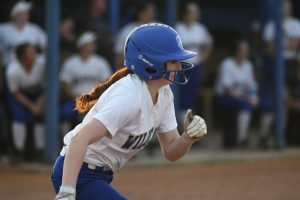 Rhodes took the loss for Station Camp as she went four and two-thirds innings, allowing six runs on 13 hits, striking out three and walking zero. 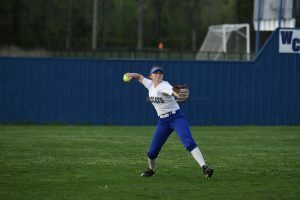 The Lady Cats smacked one home run on the day. Richetto had a homer in the sixth inning. 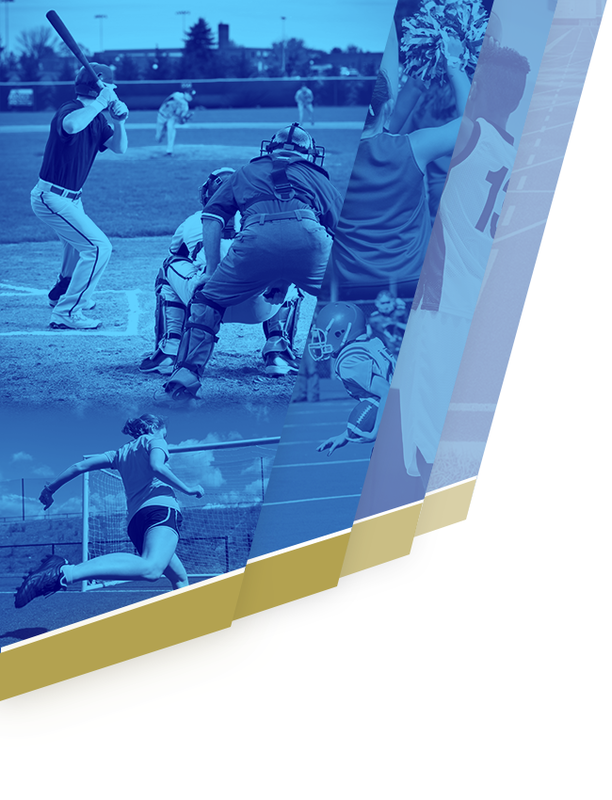 Wilson Central racked up 14 hits in the game. 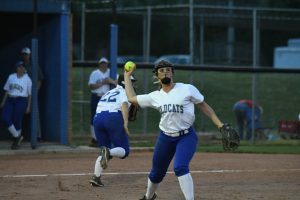 Richetto, Grayce Guethlein, Meador, and Richetto all had multiple hits for the Lady Wildcats. 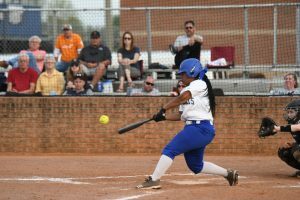 Richetto went 4-for-4 at the plate to lead the Lady Cats in hits. 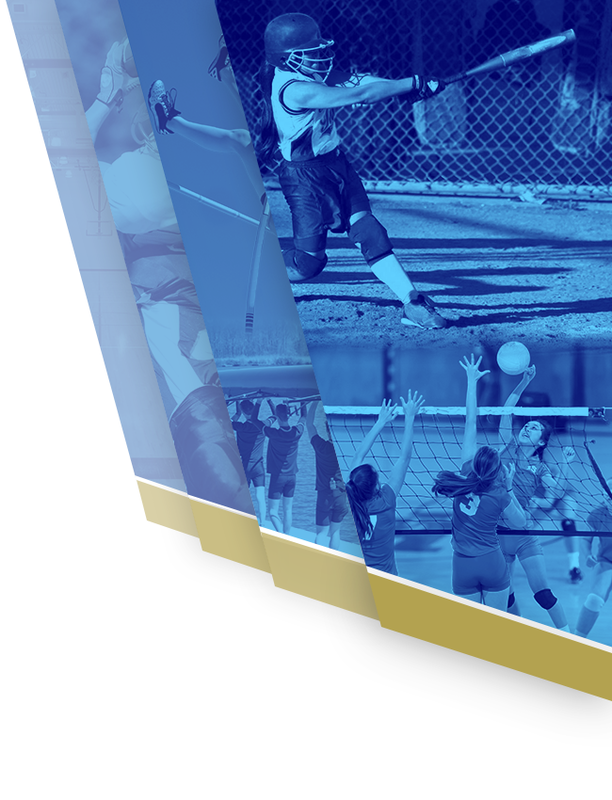 The next regular season game for the Lady Wildcats will be at Smyrna to take on the Lady Bulldogs on April 15 at 6:30pm. But first the Ladies from the Glade will participate in the Ravenwood Raptor tournament this weekend April 12-13.